Home / Dog / Dog Houses / King's Kastle by Ware Mfg. King's Kastle by Ware Mfg. We are taking Back Orders to ship at that time, your credit card will NOT be charged until we are ready to ship. King's Kastle by Ware Mfg. 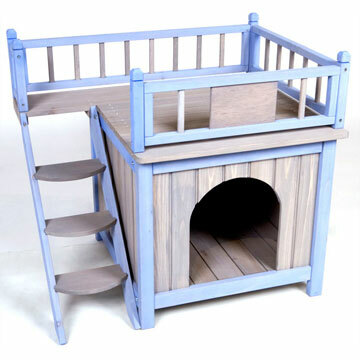 Treat your pooch like a King with this indoor house that provides the perfect place for pets to rest and relax. King's Kastle has a convenient double decker design with a resting room below and a rooftop look-out. Great for small breed dogs and cats. Assembly Instructions for Ware Mfg. King's Kastle WA 01791 Click Here.